With just four teams remaining at the Canadian Little League Championships the pressure is ratcheting up as the semifinals begin. Host Mirabel, Glace Bay, Toronto High Park and Whalley still have their eyes on the biggest baseball prize in their young careers. MIRABEL, QUE — With just four teams remaining at the Canadian Little League Championships, the pressure is ratcheting up as the semifinals begin. Host Mirabel, Glace Bay, Toronto High Park and Whalley still have their eyes on the biggest baseball prize in their young careers. In Friday morning's first semifinal, Surrey's Whalley Little League Major Allstars go up against Toronto High Park. Mirabel plays Glace Bay in the second semifinal. Both games can be streamed live at CBCSports.ca. The championship game goes Saturday at 11 a.m. ET. For the past ten days the top seven Little League teams in Canada have been playing against one another looking to become this year's champion. Coming into the tournament, Whalley was considered by many to be the favourites — teams from B.C. have won the last 12 of 13 national titles. Whalley didn't disappoint, walking through the competition during the round robin, going a perfect 6-0 while outscoring opponents 49-10. Three of their six games included shutouts. They've been superb both offensively and defensively. Their toughest test came early in the tournament against the host squad Mirabel — a 1-0 extra-inning victory. But none of the past performances from the round robin mean anything now as the playoffs begin and a championship comes into focus. Toronto High Park has leaned heavily on a flair for the dramatic throughout the tournament — in fact, it's been one player who has given his team a spark throughout. Earlier in the week pitcher Roman Figueroa spun a gem, throwing the first no-hitter of his young baseball career en route to a 2-0 victory over the Prairies. It was a pivotal win for the team, which at that point kept their playoff hopes alive. Then, down 6-4 to Alberta in a final must-win game, Figueroa did it again, this time with his bat. He hit a three-run home run to send his teammates into a frenzy and his team into the semifinal after the walkoff 7-6 victory. Mirabel's only loss came in an extra-inning against B.C. The team has been focused throughout the tournament and have enjoyed playing in front of a boisterous home crowd. While there are no returning members from last year's team, which lost the championship game to B.C., there's still very much a feeling of revenge surrounding Mirabel. They'd love nothing more than to capture a title in front of their friends and family. Last year's Mirabel team made it to the final game before losing to White Rock South Surrey. 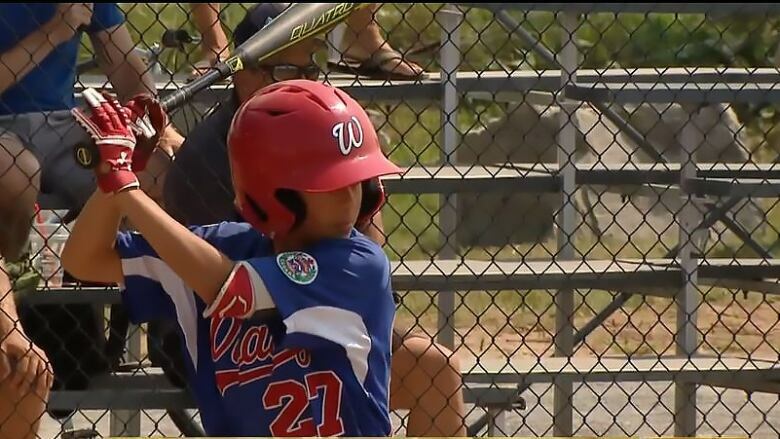 The winner of the Canadian Little League title gets to represent the country at the prestigious Little League World Series in Williamsport, Pa. The Little League team from Glace Bay, N.S. finished with a record of 4-2 and finished in third place overall. They'll face a tough host squad from Mirabel but will be relying heavily on the experience of their coach. Henry Boutilier is making his 40th appearance this year at the Canadian Little League Championship. Five previous times he led Glace Bay to national titles — the last coming in 2003. Boutilier will no doubt be trying to find the right words to motivate his squad, who don't seem to lack excitement for their games. They're an energetic bunch who chant and cheer non-stop throughout the entire game. Now they'll try and win one for the coach four decades after he made his coaching debut.